It's no secret that alcohol is a social lubricant and can ease anxiety in a social setting, but drinking can sometimes make it too easy to overshare information. It’s no secret that alcohol is a social lubricant and can ease anxiety in a social setting, but sometimes it makes it a little too easy to overshare information. Mary and Sienna discuss research and share stories about oversharing at parties. Drunk Talk is Real Talk by Lauren Martin for Elite Daily. Alcohol effects on performance monitoring and adjustment: affect modulation and impairment of evaluative cognitive control by Bruce Bartholomew. Why Do People Drunk Dial? by Sean M. Horan Ph.D. for Psychology Today. Alcohol and the Constitution of Friendship for Young Adults by Sarah MacLean for Sage Journals. 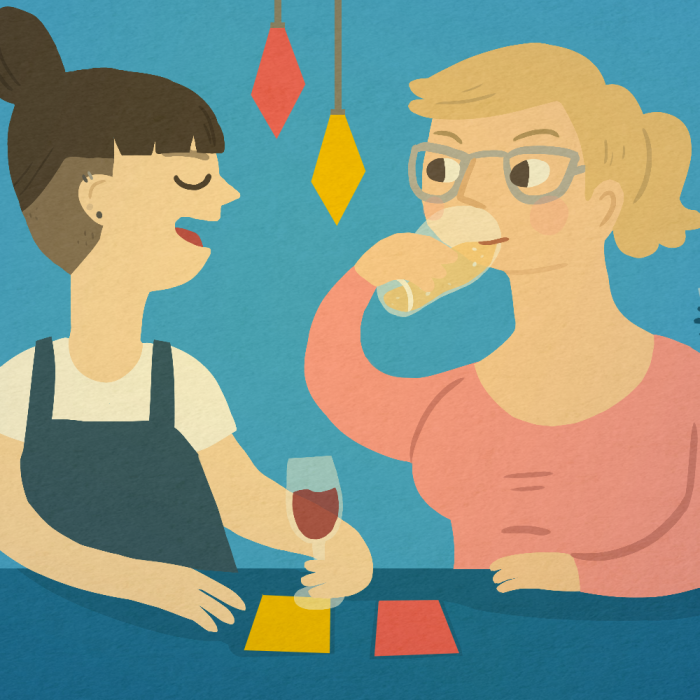 In college, Sienna saw flip cup as a chance to make new connections at parties, while Mary spent her time flitting between different friend groups. Not only is it less intimidating, but it makes it easier to meet new people at house parties. How Does Drinking Change Your Personality? Sometimes even the most introverted person can become the life of the party after a drink or two! It’s pretty common to become more talkative, but sometimes you might feel a little braver, too. Sienna and Mary discuss how their personalities change when drinking. When Mary moved to England in 2015, she was invited to a New Year’s Eve party in London and that was the night she made her core group of London friends. Recounting the events of that evening, Mary reflects on the role alcohol played in making new friends and how some of those friendships have either flourished or faded away. Mary and Sienna discuss their experiences with peer pressure during high school and some of the stigma that comes with being the only sober person at a party. In addition to peer pressure, they also talk about some of the more humorous things that happened while at parties. Do you have a story about friendship? Good, bad, or ugly — we wanna hear it! Click here to learn more about submitting your story and you might just hear it in a future episode or featured on the blog!